Bushnell 190836 8X36 Realtree AP Legend Ultra HD Binoculars 190836 FREE SHIPPING! 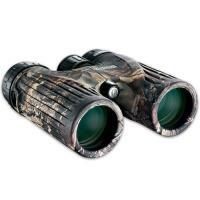 These mid-size binoculars combine premium image quality with portability and stealth. The rugged rubber casing is painted with tactical RealTree AP camouflage. Despite all the top-of-the-line optical technology that Bushnell have packed in, the lightweight magnesium chassis keeps the weight down to 20.7oz. Underneath the armored shell, you'll find professional ED Prime Glass and BaK-4 prisms for total image fidelity across a generous field of view. Ultra Wide-band Custom Coating applied to each lens maximizes light transmission without distortions or color aberrations. RainGuard HD water-repellent technology makes these professional-quality binoculars suitable for even the wettest conditions. They are also tripod-mountable for when you need extra stability. ©2002-2019 CopsPlus.com: Bushnell 190836 8X36 Realtree AP Legend Ultra HD Binoculars 190836 FREE SHIPPING!